Of the four theme parks in Walt Disney World, Disney’s Animal Kingdom is home to some of the most delicious and unique dining options. 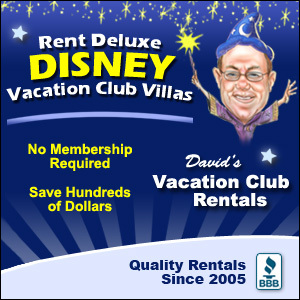 Guests who visit the park might think that the restaurants there only serve up traditional theme park foods like hot dogs and chicken fingers, but there is so much more to enjoy that guests will be shocked! Disney’s Animal Kingdom is home to several full service and quick service dining locations which feature unique menus that reflect different cultures and cuisine from around the world. 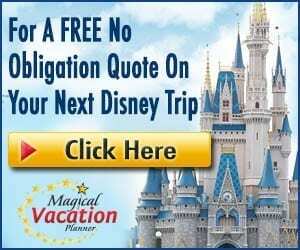 Guests who have a hard time choosing only one place to eat in Disney’s Animal Kingdom should definitely remember that vacation is a time to enjoy treats and indulging in some wonderful meals and desserts. 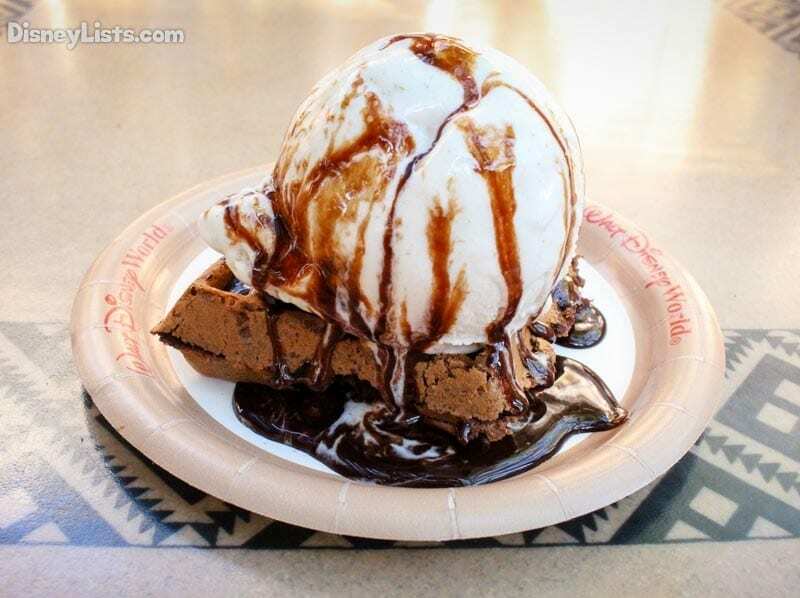 From quick service snacks to decadent desserts offered in full service restaurants, guests in Disney’s Animal Kingdom should be sure to save room for dessert and indulge in some sweet treats! Here are the eight best desserts to enjoy in Walt Disney World’s Disney’s Animal Kingdom. Disney’s Animal Kingdom is home to several themed lands which aim to bring guests to different locations around the world. 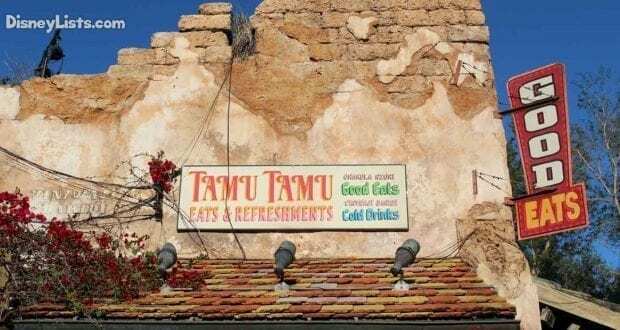 In the Africa section of the park, guests can find Tamu Tamu Refreshments. This quick-service snack location now features a desserts-only menu. Our favorite treat from Tamu Tamu is the chocolate waffle topped with vanilla ice cream or chocolate mousse. When served with ice cream, the waffle is drizzled with chocolate syrup, making this dessert simply heavenly! Pineapple Dole Whip fans may be tempted to get that famous snack here, but since you can get Dole Whip at other locations, we encourage you to try the chocolate waffle! The Dinoland section of the park brings guests back in time for a prehistoric journey that is sure to leave them thrilled. Guests who find themselves hungry in Dinoland can head over to the unique quick service location Restaurantosaurus which is a frequent hangout of the students at the local Dino Institute. The location serves up lunch and dinner each day and also features some amazing dessert options that amateur paleontologists are sure to dig. The Warm Chocolate Turtle Brownie combines a warm brownie with the perfect crunch making for a dessert that is both comforting and delicious. One of the most popular dining locations in Disney’s Animal Kingdom invites guests to indulge in an all you can eat buffet of African cuisine. The Tusker House Restaurant in the Africa section of the park is open for breakfast, lunch, and dinner and allows guests to meet Mickey and friends while dining. Tusker House Restaurant features plenty of unique African foods that guests will love trying, including a dessert that combines sweet fruit and vegetables. The Banana Bread Pudding combines two sweet ingredients with gooey warm bread pudding to leave guests totally satisfied after their enjoyable meal! With so many foods to choose from at the buffet at Tusker House Restaurant, guests are sure to have a hard time fitting all of the options they want to try on their plates and definitely will end up making multiple trips to try it all. This applies to the dessert as well as guests will be sure to want to sample each option as they are all so delicious! In addition to the Banana-Corn Bread Pudding, guests should be sure to try the Baklava which combines layers of flaky filo dough with chopped nuts and deliciously sweet honey. Another full service dining location in Disney’s Animal Kingdom invites guests to travel to Nepal for a Pan-Asian feast. The Yak & Yeti Restaurant is located in the Asia section of the park and features two floors filled with authentic artwork, sculptures, artifacts, and trinkets from Southeast Asia which guests can enjoy. The menu at Yak & Yei Restaurant features cuisine inspired from many places in Asia, and guests are sure to want to leave room for dessert when they spy a unique and interesting option that they are sure to love. The Fried Wontons feature flaky wontons filled with cream cheese and skewered with pineapple accompanied by a honey-vanilla drizzle. 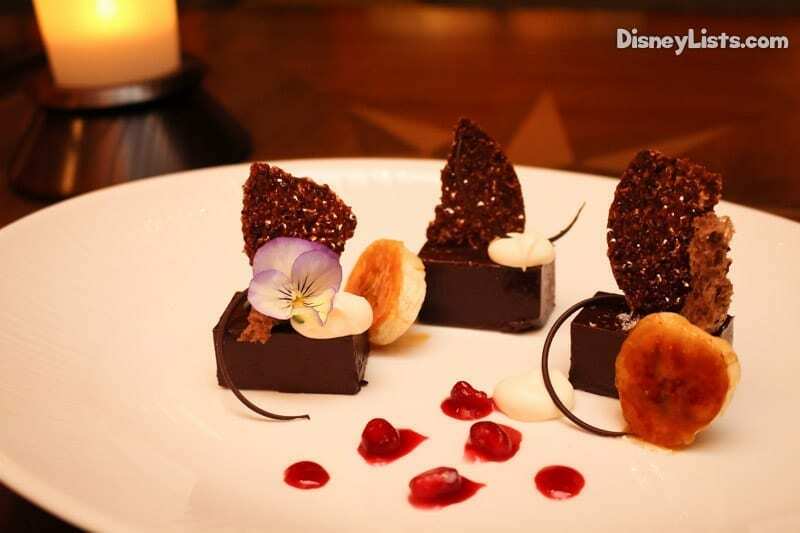 Animal Kingdom’s newest table service restaurant features many amazing desserts. Dark chocolate lovers will lose their minds over the South American Chocolate Ganache with Caramelized Banana and Cocoa Nib Tuile. It was the richest, densest, ganache we’ve ever had. It was fantastic and fantastically presented. The three small squares don’t appear at first to be much of a dessert. However, it is so rich you will find nibbles to be more than enough and the dessert is probably sharable for most couples. This dessert is a new favorite on our list and is especially fun to delight in at night as the surrounding land glows with bioluminescent lighting! Explore Animal Kingdom’s newest land, Pandora – The World of Avatar where you’ll spot a remodeled mess hall called Satu’li Canteen. Take advantage of the mobile ordering option on your My Disney Experience app at this quick service spot by order and paying from your phone. A couple of minutes after arriving, your dessert is ready for pick up and devouring! We especially love the Blueberry Cream Cheese Mousse with passion fruit curd. It’s not only a small plated masterpiece but a light and refreshing dessert that offers the perfect amount of sweetness. Guests who dine at the Yak & Yeti Restaurant and are looking to enjoy a lighter dessert option will love the Sorbet which allows them to enjoy a decadent dessert while keeping things light. The Sorbet at the Yak & Yeti Restaurant features a trio of flavors including mango, lime, and raspberry and guests are sure to feel cooled down and satisfied after indulging in this treat in Disney’s Animal Kingdom.